Norwich Citys football badge is probably one of the most recognisable in the UK as so many people associate the football club with a Canary !! However, how many football fans, apart from Norwich fans obviously, know exactly why the Canary is so prominent on the badge? Well, it goes back to the early 1900’s when Norwich became famous for the breeding and showing of said Canaries, these were more than likely introduced to the area by Dutch settlers and quickly became a popular pastime in Norfolk. 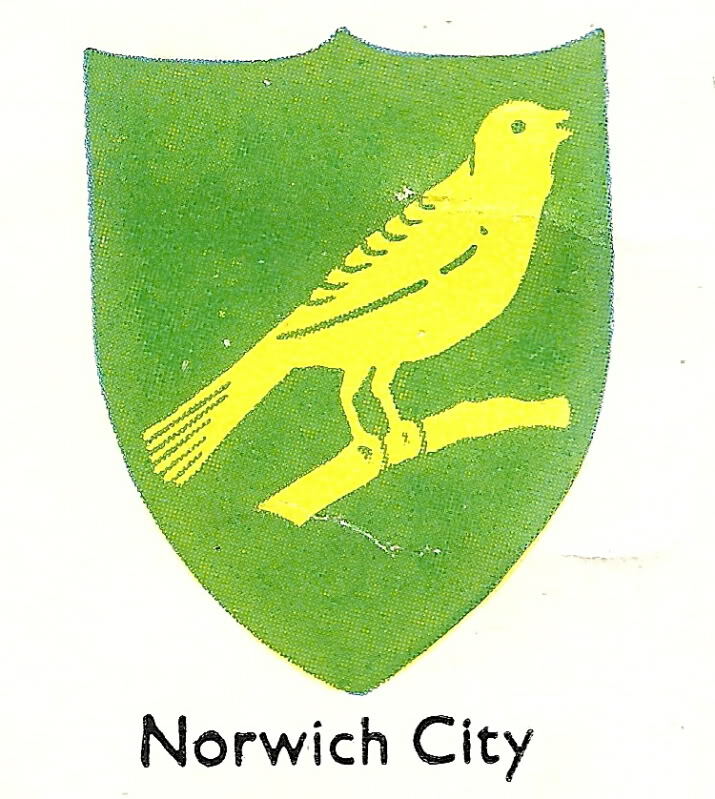 So popular in fact that the football team even changed their nickname from The Citizens to The Canaries and the popular little yellow bird became intrinsically linked to the club, this can be seen by the image of Norwich Citys badge shown in the 1959 Encyclopedia Of Sport. The badge was redesigned in the early 70’s when a local newspaper, The Norwich Evening News, ran a competition to find a new badge for the football club. 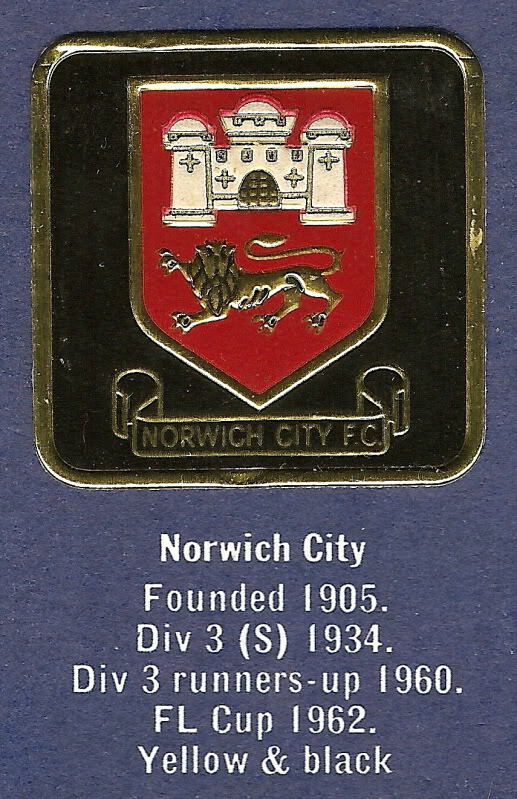 The winning design was a shield with canary perched on a football with the date 1905 on it, although Norwich City were formed a few years earlier this was the year they turned professional. The castle in the top left hand corner signifies Norwich Castle and the Royal Lion is from the city’s official coat of arms. Mention of the City Coat of Arms brings us on nicely to our final image, the badge below was part of the Esso Football Badge collection in the early 70's and actually shows the Coat Of Arms as opposed to the Canary, as the Canary had been Norwich's accepted badge for a while before this badge collection was issued we can only assume that Esso was using some artistic licence !! So there we are, a potted history of the Norwich City badge ! !